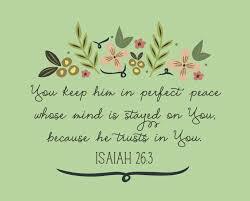 Wishing you a week of calm and perfect peace as you trust God! I’m printing this quote to put up as a reminder through out my day! So much wisdom in there. Thanks, Kath! Praying for you!